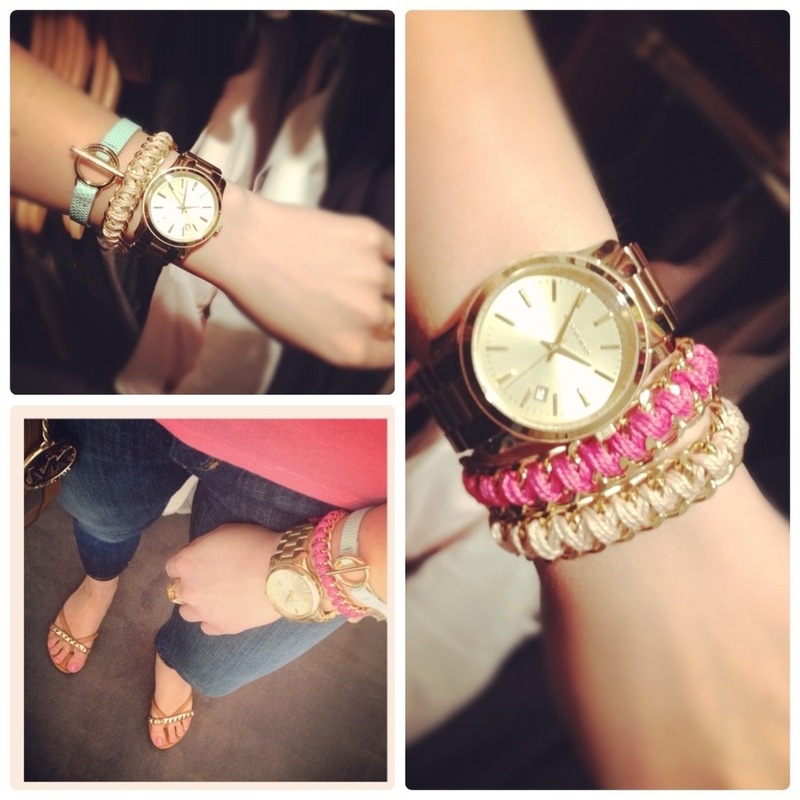 One of my favorite Summer trends is layered arm candy. A boyfriend watch is an everyday essential for me, but the addition of bright colored hues piled together has Summer written all over. I found this must-try DIY from Stripes + Sequins and had to recreate. Thanks for trying out my DIY! You did a great job. I just posted your photos to the Stripes + Sequins facebook page. 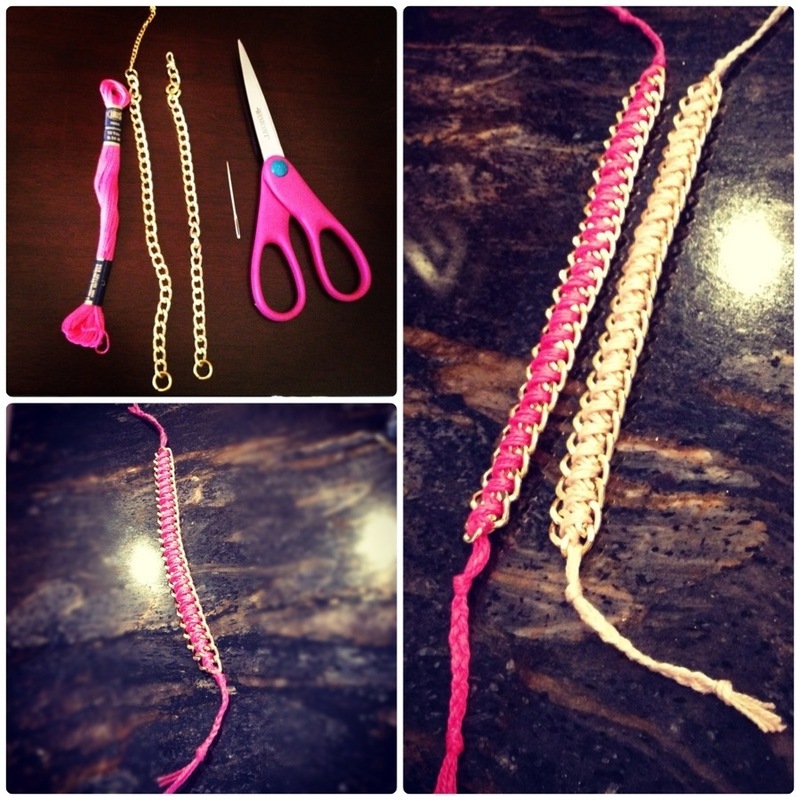 I love this DIY and your arm party. your post gives me large inspiration, it means a lot to me, Thanks for your post.